Pika in the Alpine tundra of Rocky Mountain National Park taking a momentary rest near his or her over-winter haystack caches. 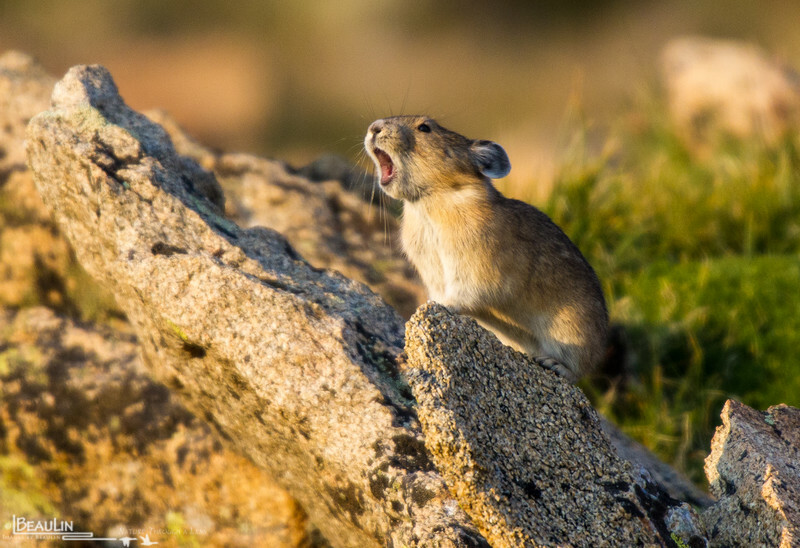 Unlike other subnivean mammals, pikas do not hibernate during winter. Instead, they scurry endlessly during the short alpine summer to stockpile tundra grasses, sedges & forbs in their "haystacks" that will get them through the 6-month long alpine winter.